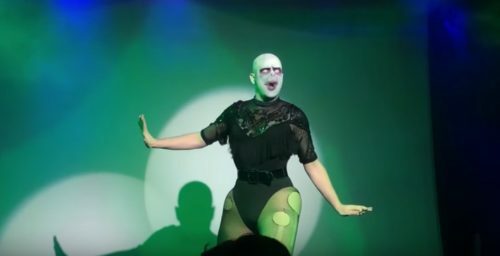 If you’re a Harry Potter fan and love drag shows too, you’re in for one heckuva treat. Complete with a magic wand duel with a hunky shirtless Harry Potter, this is a performance you won’t be able to stop watching. Thankfully, you won’t need a time-turner. You can just watch the video again as many times as you’d like.